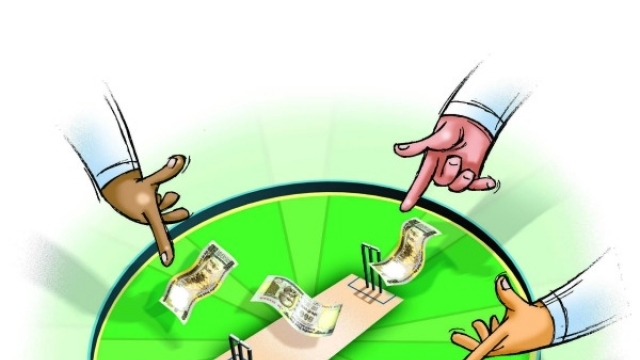 With the huge amounts of options you have available to you when it comes to cricket betting online, it is almost an impossibility to keep your finger in every pie. Specialising on just one area is the first tip from professional punters –trying to cover a wide range of either sports types or kinds of bets means you can’t spend the required time and energy proper research requires, and spreading yourself too thin will quickly affect your bankroll. Find what you are particularly interested in, or very good at, and focus your energy there. Keeping records of the bets you make is one of the most vital aspects to take seriously when it comes to winning over the longer-term in the manner in which professional punters do. After all, how will you even know that you are winning if your record-keeping is sporadic? Keeping betting records will not just tell you how well you are doing regarding winning and losing overall. You will also be able to get a far more accurate idea of what your strong and weak points are: you may well excel in Over/Under wagers, but do badly with Player Exotics. Bear in mind that most bettors will often see themselves as far more successful than they actually are, and this is why you will find this tip outlined in almost any online sports betting guide. Understanding the concept of Value is a vital part of becoming a successful punter. Your bets winning or losing is not as important as your getting good value on the selections you make. It is all well and good to say that a team paying 1.50 is the better one, and should win, but are they a deserved favourite? Are the odds given reflective of their probability of a win? Value is calculated by determining whether you believe that the likelihood of a selection winning is bigger than the probability the odds it has been given reflect. The concept of value in cricket is one that not many punters understand, and it is perhaps the most important aspect for consideration. It must be remembered that the value of a bet is not determined by the result: if you were offered odds of 3 over the results of a coin flip, it is likely that you would accept with alacrity. Given that the probability of a coin toss is 50%, this would mean that half of the bets you placed would win, and half would lose. Whether or not you won, this bet has value, and this value remains in place whether you take the win or have to deal with the loss. The world of online betting has made it a lot easier for amateur punters to get hold of the kind of information that was previously the sole domain of bettors who make their living by their punting activity. There is a lot of information available to you, and it is made available completely free of charge, so start taking expert advice in order to make the wagers you do end up placing more successful, more of the time.